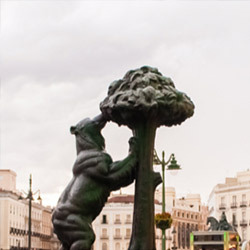 The capital of Spanish language, Madrid is a vibrant metropolis with much to see and experience. Take a look inside our guide and you will find the musts to any visit to the city, no matter how long or short your stay might be. From the best museums to the most dizzying nights, we will guide you through an unforgettable holiday in Madrid. You probably won't find any other place in the world like Madrid, an old-hearted town with a fresh juvenile spirit, a perfect mix of liveliness and splendor. This Madrid travel guide will make sure you don’t miss what the city has to offer, the discovery is down to you. Madrid is as easy to travel to as any European capital, especially since the recent expansion of Madrid Barajas International Airport. The best way to discover Madrid is to tackle it neighborhood by neighborhood, because each "barrio" boasts a different personality and history. Whether you look for a fine restaurant, the latest fashion shops, a natural setting or a night of wild partying, you won't be short of entertainment in Spain's capital city. There's more to art in Madrid than the magnificent Prado. Get your dose of Madrid architecture, concerts, cultural centers, festivals and flamenco here. These quick getaways are perfect for escaping the urban bustle and unearthing the region's past: Toledo, Segovia, El Escorial and the Sierra de Guadarrama. The history of Madrid as we know it unfolds in the 9th century A.D.
Madrid, Spain's capital, is a city that is commonly associated with political power and a certain greyness, but, far from that, Madrid is a captivating city full of history, tradition, art, and bustling with life. Its many squares and parks invite the visitor to relax in them, after visiting one of its many top-class museums, or strolling around its romantic neighbourhoods. Madrid is a city that gets a hold on the visitor just after a few steps on its streets. We want to give you accurate and up-to-date information, for you to better plan your trip to Madrid. 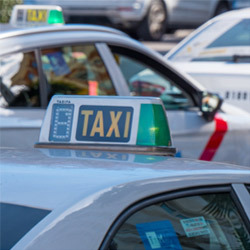 That's why our sections are sequenced in the natural order of a trip: About Madrid is what you need to know before you leave for your destination, and Transportation will inform you about getting around in Madrid, for example.